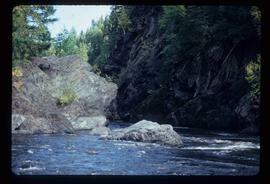 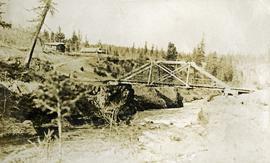 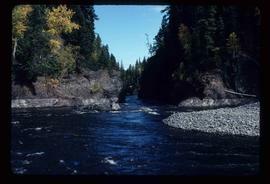 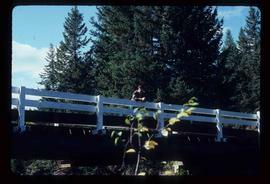 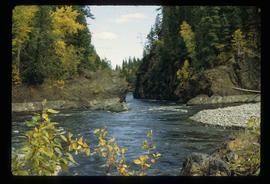 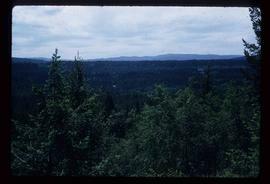 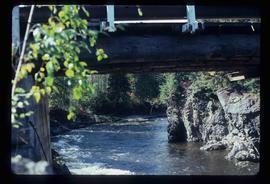 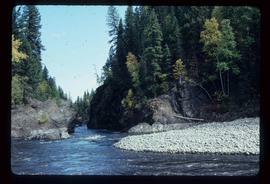 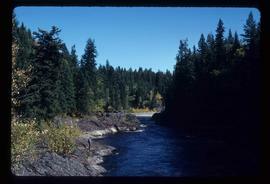 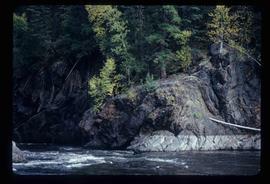 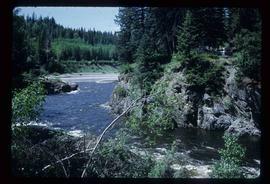 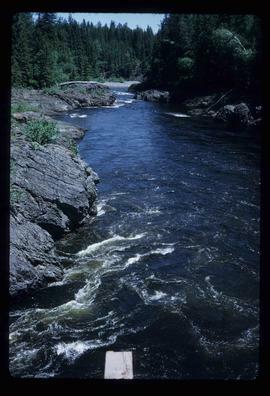 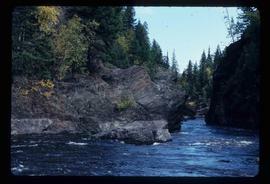 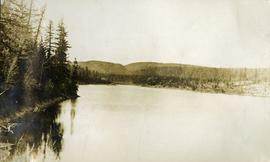 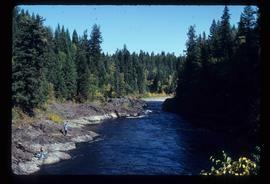 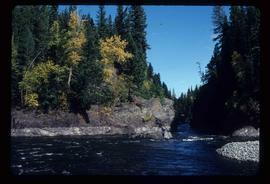 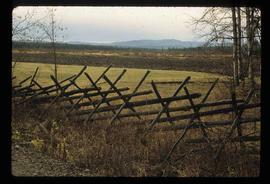 Image depicts a fence in the Blackwater River area in the Chilcotin. 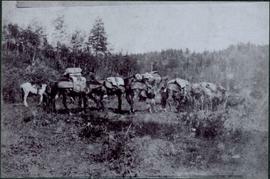 Photograph depicts train of mules packing many items through cleared area near the Blackwater River, B.C. 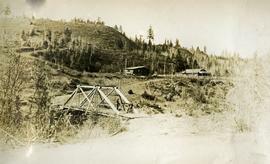 Power line, trees and hill in background. 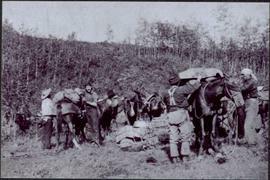 Hugh Taylor believed to be present on this journey.